when you buy 2 or more items! EASY & QUICK TO USE! Made from recycled, durable polycarbonate plastic and packed individually in recycled boxes. 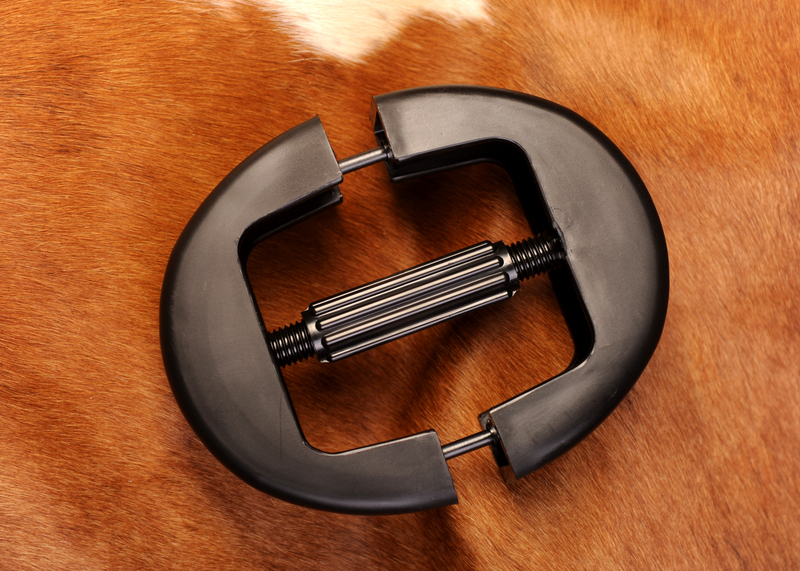 The Hat Retainer: Never Underestimate the Pleasure of a Perfect Fit! 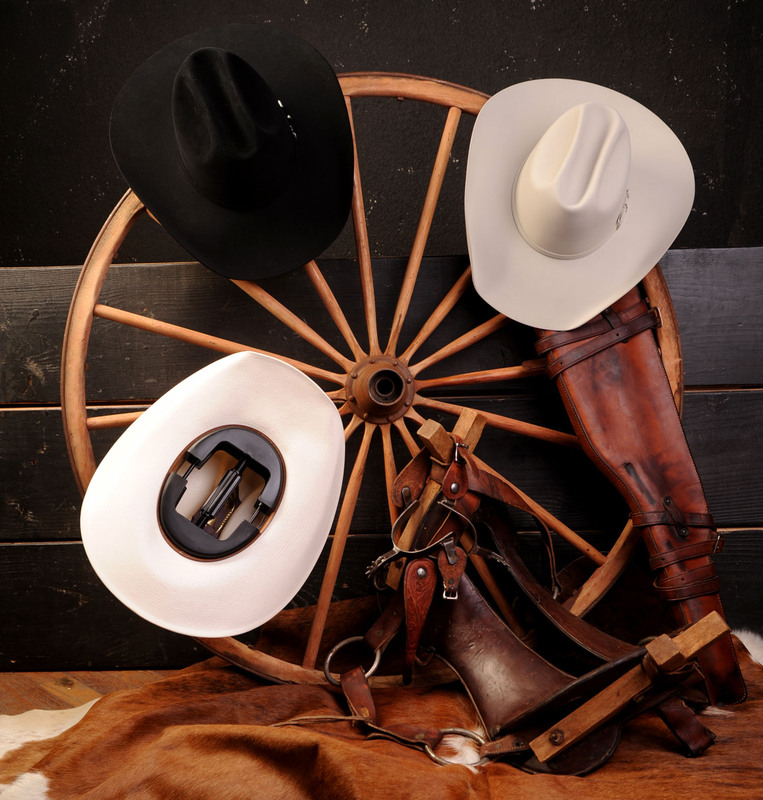 There’s probably no article of clothing in the western wear industry as misunderstood as the western hat. A hat that doesn’t fit stays in the closet, and a hat that fits get worn. Even quality hats need care because temperature and moisture variations can change the way a hat fits. Extreme heat and cold make the material in even the best hats expand and contract. 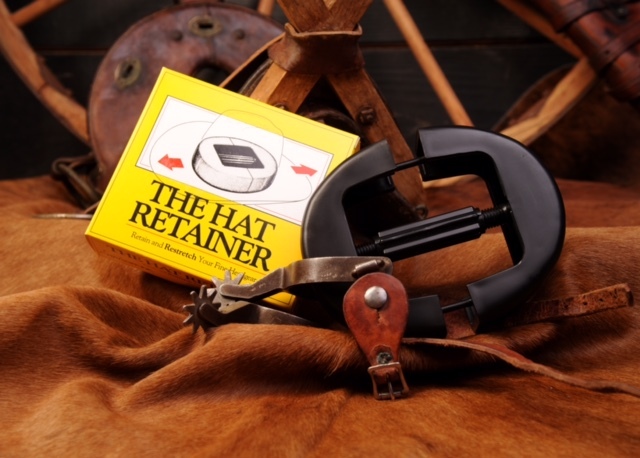 The HATSOFF Hat Retainer is a modern remedy for that rather old problem. Constructed of recycled durable polycarbonate plastic, the Hat Retainer is inserted into the hat when the hat is not being worn, and the adjustable handle is given a firm twist retaining the size of the hat. It can also be used to increase the size of a hat, within limits, if the wearer is perhaps a growing youngster. Ongoing comfort is one of the most important facets in headwear. Good for the environment. Made from recycled plastic and packed individually in recycled boxes. 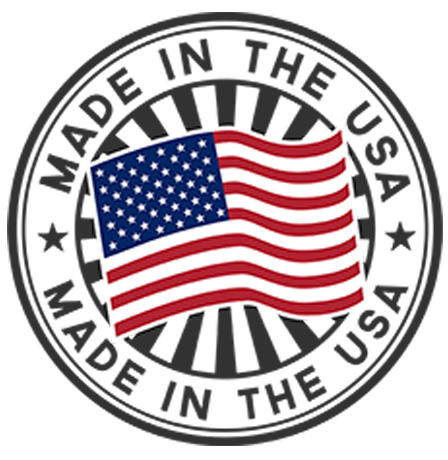 Also sold through fine hat shops, Western Wear stores and catalogs, and each year at the National Finals Rodeo’s “Cowboy Christmas” in Las Vegas, Nevada. BUY 2 OR MORE OF ANY ITEM AND GET 10% OFF YOUR ENTIRE ORDER! New Mexico residents: sales tax will be added to your purchase. Are you taking proper care of your hats? 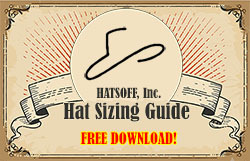 Not sure what size hat you need?